Vlad Zamfir, a lead developer of the Casper protocol, has signed a letter of intent with Casper Labs. 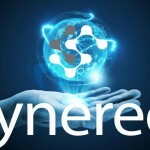 The startup is working on developing a fully scalable blockchain to be launched even ahead of Ethereum. This news was provided by The Block. 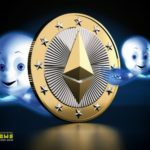 The Casper solution is aimed at introducing changes to the Ethereum consensus algorithm, and in case of its implementation, it will herald a new era of Proof-Of-Stake (PoS) protocol. The portal reported that Casper Labs has already raised venture capital investments and it is now committed to finance Vlad Zamfir for his research activity. The funding amount supposedly reaches several million dollars. Anyone can find the research results in the public domain. Moreover, the startup will make it GitHub repository public as well. A number of media has misinterpreted the news about Zamfir’s partnership with Casper Labs and announced that he withdraws from the Ethereum development team. As for the PoS mastermind, he personally laughs at the newspaper headings stating that he leaves the platform. Even despite the fact that Casper Lab provides financial support for Zamfir’s research, it’s worth mentioning that he will not join the Company as an employee. However, the parties are still negotiating upon the final version of the agreement. As it was stated earlier, the Casper Labs developers made the documentation for the Casper solution public in November 2018. 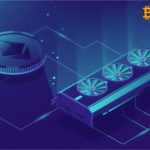 But this the summer, Vitaliy Buterin emphasized that the implementation of the sharding in the Ethereum blockchain will follow the Casper protocol upgrade. © 2018 bit.news | queries 224, for 0.445 sec.